Our memories of the ocean linger on, long after the footprints in the sand are gone. How much do I love thee, let me count the waves. Is there anything more romantic than a beach wedding? Beacher’s Lodge is the perfect location for your most important day, your wedding day. You bring the love, devotion and wedding vows; we supply the beach sand. Whether you dream of an intimate exchange of vows or a complex coordination of extended family members for your special day, Beacher’s Lodge will be a location your entire wedding party can enjoy. Everyone staying overnight at Beacher’s Lodge can have a balcony suite with their own beach view. With our group pricing, 10+ rooms will qualify for discounted group rates. We have a wide range in pricing, so we can find the perfect suite for each of your wedding guests. Our heated pool, equipped suites, and proximity to historic St. Augustine will make your special day just as special to your out of town visitors. You do need to obtain a beach permit to have a wedding, large or small, on the beach. Click to get more information from St. Johns County Beach Services. The application process can take 2 weeks, so make sure to get your application approved in advance of the date. Ask the important questions, what time is high and low tide on your big day. Will you need chair rental for a beach ceremony or perhaps the perfect arch? We have rental companies in town, like Taylor Rental, that will deliver these important items for your big day. After enjoying the perfect beach wedding, send your guests to our onsite conference room for an intimate reception. We have tables and chairs that can be used without additional charge or you might want special tables and chairs delivered. 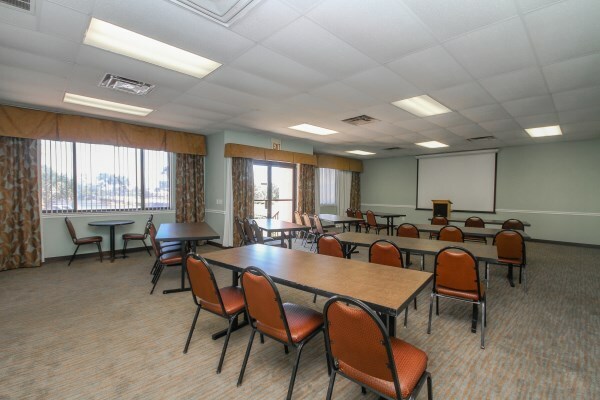 The conference room will accommodate up to 50 guests comfortably. What could be better than the perfect beach day with the perfect beach partner? Bring your love story to Beacher’s Lodge, build beach memories to last your lifetime. Do you need further assistance planning your dream beach wedding? Please contact us, we are happy to help you plan for your special occasion.